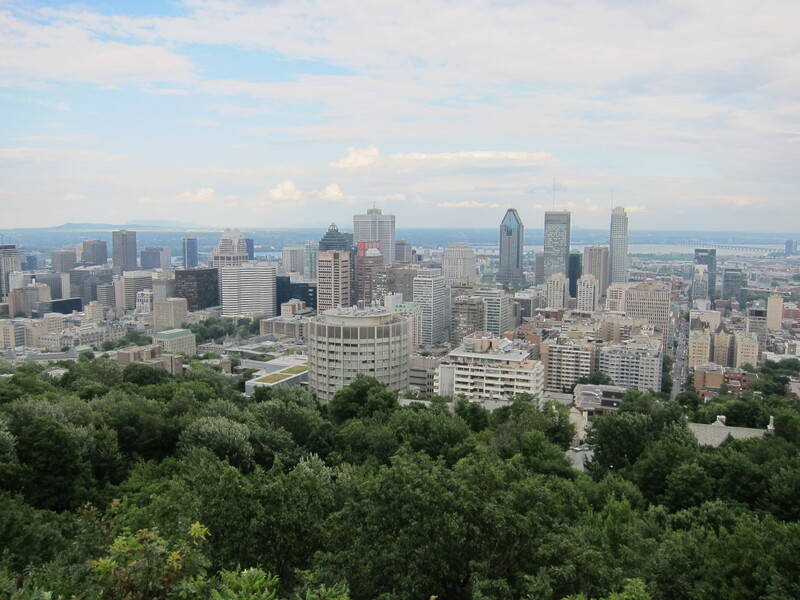 In July 2014, we traveled to Montreal to explore Quebec’s largest city while collecting sounds for our project The Touch of Sound, which features authentic sound recordings from around the world. During our visit, we discovered an energetic city full of unique sounds and cultures. Upon our arrival, we found our way to a picturesque rooftop terrace in Old Montreal overlooking the St. Lawrence River. Our journey into the city’s many edible offerings started off right with poutine, a staple of Quebec cuisine. Poutine’s combination of French fries, cheese curds, and gravy is a delicious indulgence. After dinner, we headed towards the Montreal Clock Tower in the Old Port. The area also hosts an international fireworks competition above the river throughout the summer (International Fireworks Competition). The next morning, our exploration of the city began in earnest with a trip to the Habitat 67 wave. One of the many sets of rapids important to Montreal’s history, Habitat 67 allows local surfers a chance to catch a quick ride on the river (Habitat 67). Back on the main island, we found ourselves exploring Saint Laurent Boulevard. The main thoroughfare passes through various historical ethnic neighborhoods. Our route back downtown took us past the famous Schwartz’s Deli, where we enjoyed sandwiches piled high with their legendary smoked meat (Schwartz’s Deli). Street performers can be found throughout the city during the summer months. We encountered some comedic brass musicians at the Just for Laughs festival, located at the Quartier des Spectacles, which is an area downtown that hosts many events (Just for Laughs Festival). 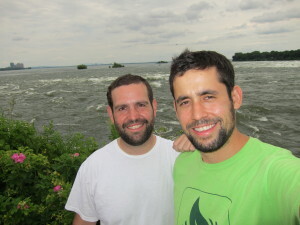 Our next day out began with a visit to Îles-de-Boucherville National Park. Just outside the metropolitan area, the distant hum of traffic is a reminder of how close the city is, but the beautiful views and sounds of nature make it feel like a world away (Îles-de-Boucherville National Park). A quick trip back to Old Montreal gave us a chance to check out the Notre Dame Basilica, one of Montreal’s most famous landmarks. After hearing the noon bells of both the Old Saint Sulpice Seminary (Saint-Sulpice Seminary) and the Basilica, (Notre Dame Basilica Bells) we entered the building to hear the epic sound of the 7000 pipes of the pipe organ. (Notre Dame Basilica Pipe Organ). Following our Notre Dame visit, we embarked on an afternoon boat cruise along the St. Lawrence River. From the water, we enjoyed stunning visuals of the city from a unique vantage point. A post-cruise dinner at a classic steakhouse gave us the fuel we needed to hit the town (Moishes Steakhouse). We went on to enjoy Montreal’s vibrant nightlife well into the morning hours. The next morning, we sought out more nature at another of Montreal’s many parks. We headed west to the borough of LaSalle to visit the Parc des Rapides. Situated on a peninsula, the park offers an up-close view of the Lachine Rapids (Lachine Rapids) and provides a home to many migratory bird species (Parc des Rapides). The park is a reminder of how beautiful this world can be, and it was a highlight of our time in Montreal. As we headed back towards the city, we continued our exploration of Montreal’s green spaces. We hopped onto the Metro, bound for Mont Royal Park (Montreal Metro). Although we seek sounds as a part of our project, sometimes it is the visual alone that stuns. After a short climb up to the Chalet, the view of the city before us inspired a moment of silent reflection on what a unique and beautiful city we were fortunate enough to visit. On our last day, we returned to Mont Royal Park for the Tam-Tams Jam (Tam-Tams Jam). The eclectic mix of drummers, dancers, and onlookers was a perfect way to wrap up our trip to Montreal. We hope to return someday, as there is so much more to discover and hear. Marks Bros., Jonah and Jesse – Parc du Rapides. July 2014.